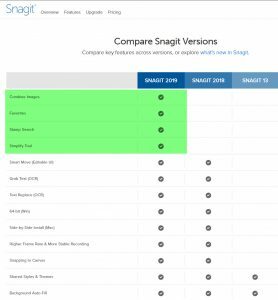 Snagit 2019 is out and there are a host of new features. The changes in Snagit 2018 were a huge leap in productivity. 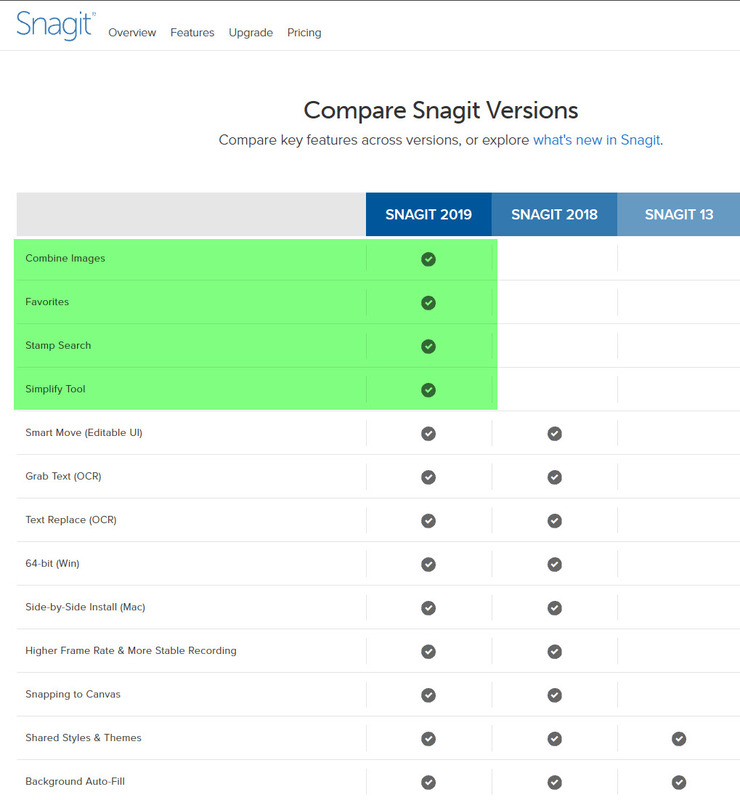 I’m sure Snagit 2019 will be that much better. I’ve been using Snagit since the early ’90s, long before I was involved in technology. For most of that time I’ve used it several times a day to create effective communication and education materials. Posted: October 25, 2018 October 25, 2018 . I just got the Surface Book 2. I was waiting for the 15″ and for the right time to switch from my Surface Book with Performance Base. I got the original Surface Book as soon as it was available. It was a great machine, and the unit with the Performance Base gave me more battery life. But that was about all I really noticed between the two units. The Surface Book 2 is a big step up. I was ready for the 15″ screen. After a few days with the bigger unit, I’m pleased with the larger view and I don’t mind a little extra weight. The battery life for the Clipboard (Tablet) alone should be over three hours. I’m getting similar run time out of my aging Surface Pro 3. I’ll still keep it around though. It’s great to use it on my desk for taking notes in OneNote during meetings. I just don’t need to use it as a portable device. 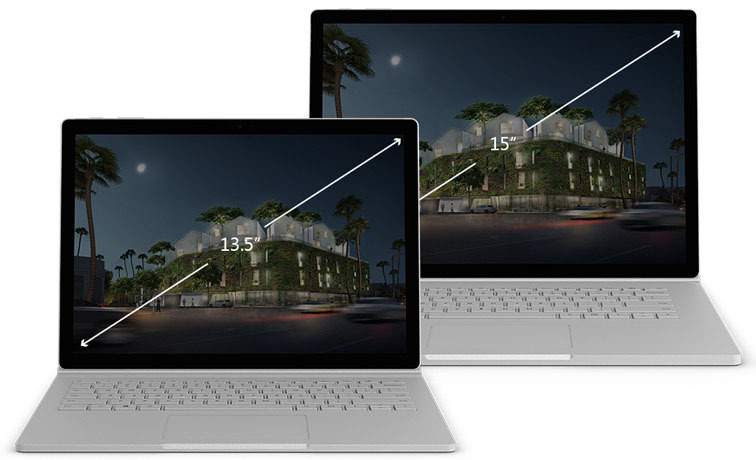 Amazingly, the Surface Book 2 15″ Clipboard is 817 grams compared to 12″ screen at 800 grams for the Surface Pro 3. I’m also impressed with the pen tilt capability, despite having to buy a new pen to get it. 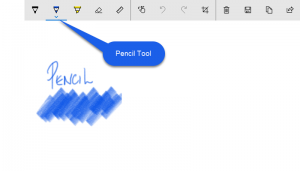 You can test it out in Windows Ink Workspace – SketchPad. Use the Pencil tool and check it out. More in a few days after I’ve put some miles on it. Posted: March 25, 2018 March 31, 2018 . Through a surprising set of circumstances I ended up replacing my Surface Book (512 GB / Intel Core i7 / – 16 DB / dGPU) with a new Surface Book with Performance Base (same specifications for the rest). I thought there was something funny about the screen on my 16 month old Surface Book. I noticed a yellow tinge about 1/2” in from the edge, all the way around. It was most noticeable against a white background. Fortunately, I had everything backed up when I took it in to the Microsoft Store. I talked to the support person about the discolouration. He looked at it, brought someone else over to look at it, the he held up the clipboard (screen only part) at eye-level, parallel to the floor. We could all see that it was bulging in the middle. Okay, so the diagnosis was instant. The battery was failing. They decided to swap out the unit for a new one on the spot. 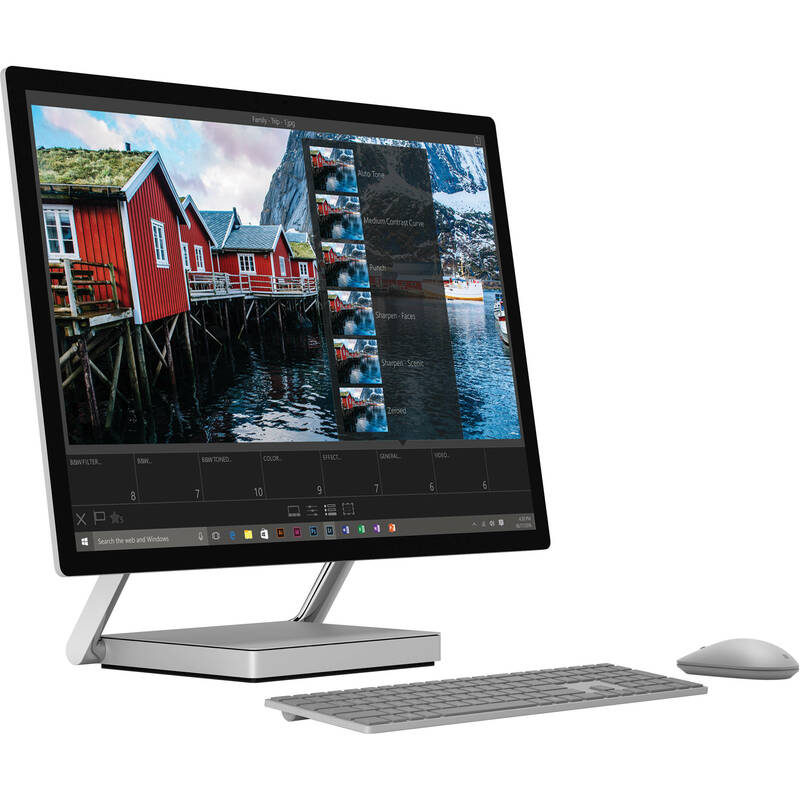 The better news for me, they only had a Surface Book with Performance Base. I paid the difference and walked away with a new machine. Of course, I had to install all my desktop applications again but 24 hours later, I’m pretty much functional. I’m interested to see how much I’ll notice the difference with the Performance Base. Posted: February 18, 2017 April 27, 2017 . 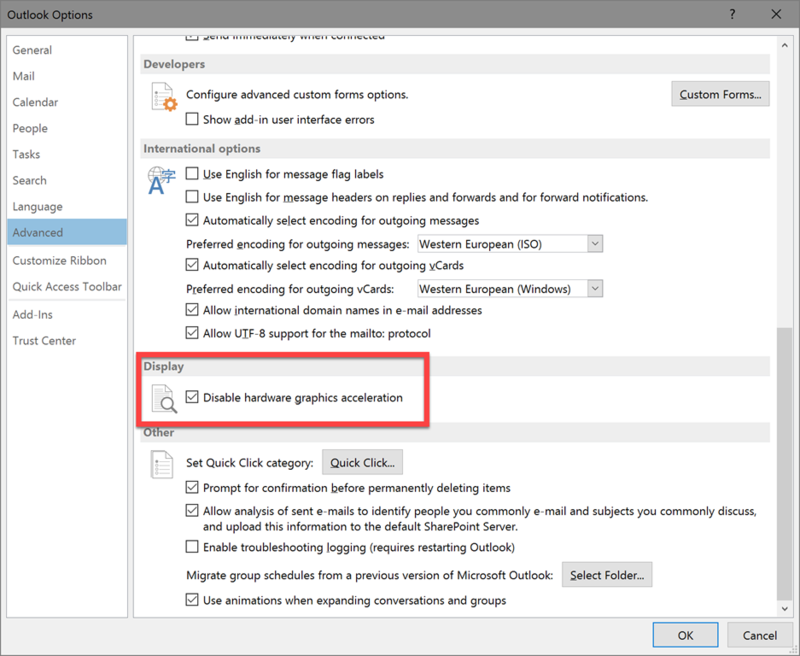 After months of struggling with Outlook hanging up inexplicably I found something that looks really promising. I had thought it was because I’m connecting to several Exchange servers. It was particularly bad if I switched between the Mail and Calendar windows after Outlook had been running for awhile. My solution was to open up my Calendar in a second window as soon as I opened Outlook, but that was really tedious to have to remember to switch windows instead of using the shortcuts at the bottom left of the Outlook window. 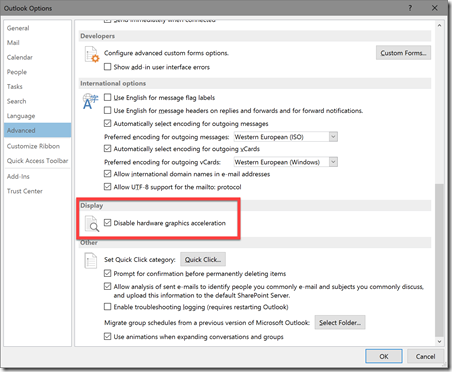 Check this out; File | Options | Advanced – Disable hardware graphics acceleration. Posted: August 25, 2016 August 25, 2016 . Here’s a reason to like Windows 10 Anniversary Edition. Posted: August 3, 2016 August 25, 2016 . I’m a huge fan of OneNote and I use both versions. I came across this article that should help if you use OneNote, or are considering it. If not… Why NOT? 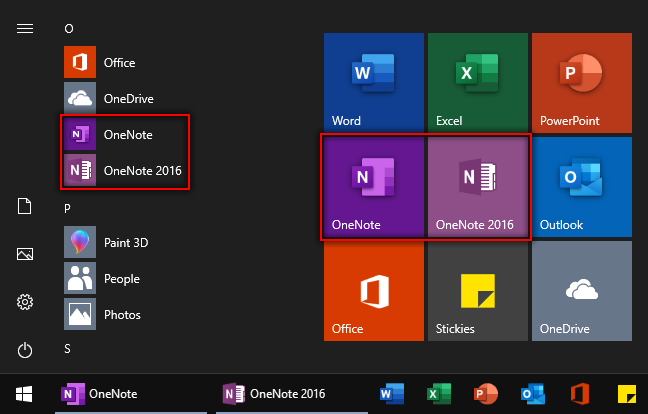 OneNote 2016 (as well as OneNote 2010 and 2013) comes with the Office suite and is available as a free download from www.onenote.com. However, you might have noticed another version of OneNote on your Windows 10 device that’s simply called “OneNote.” This new app, built from the ground-up, works great with any PC, tablet, or smartphone running Windows 10. Posted: May 30, 2016 June 1, 2016 . Watch this video as Brian Roper explains why you want to upgrade to Windows 10 NOW. And if you’re holding off, remember that it’s only free until July 29th. Posted: May 12, 2016 May 12, 2016 . I don’t know how long this has been up on Surface.com but I just found this Surface art page. There’s lots to like. Enjoy! Posted: May 11, 2016 May 11, 2016 . Posted: May 10, 2016 May 11, 2016 . Posted: April 16, 2016 May 11, 2016 .